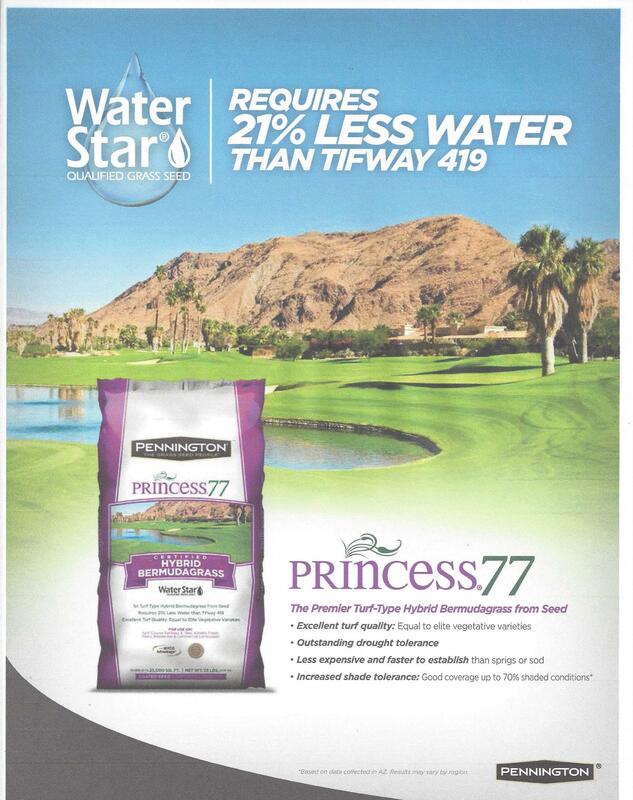 Princess 77 Bermuda grass is a warm season, introduced, perennial turf grass. It is primarily used in Golf Courses, Parks, Athletic Fields and Home Lawns. 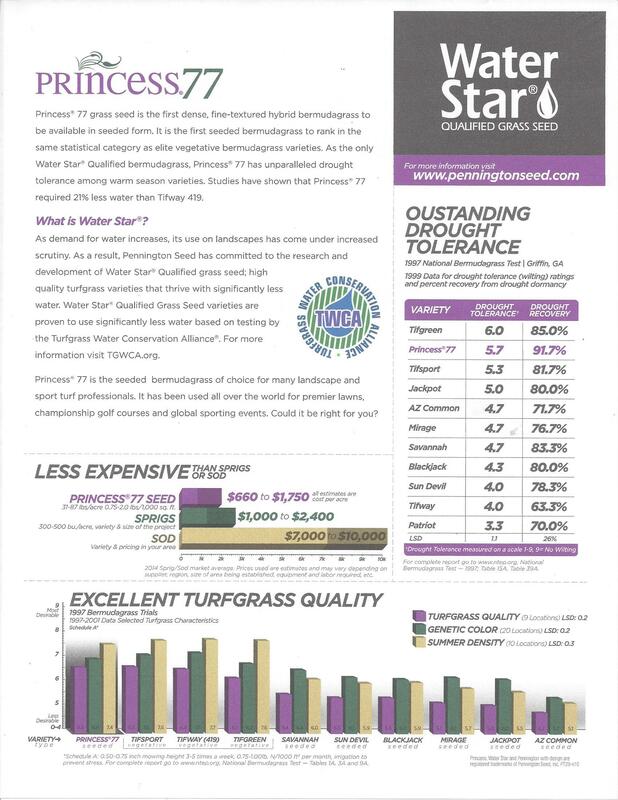 Princess 77 Bermuda is Drought tolerant, shade tolerant, salt tolerant and traffic tolerant. 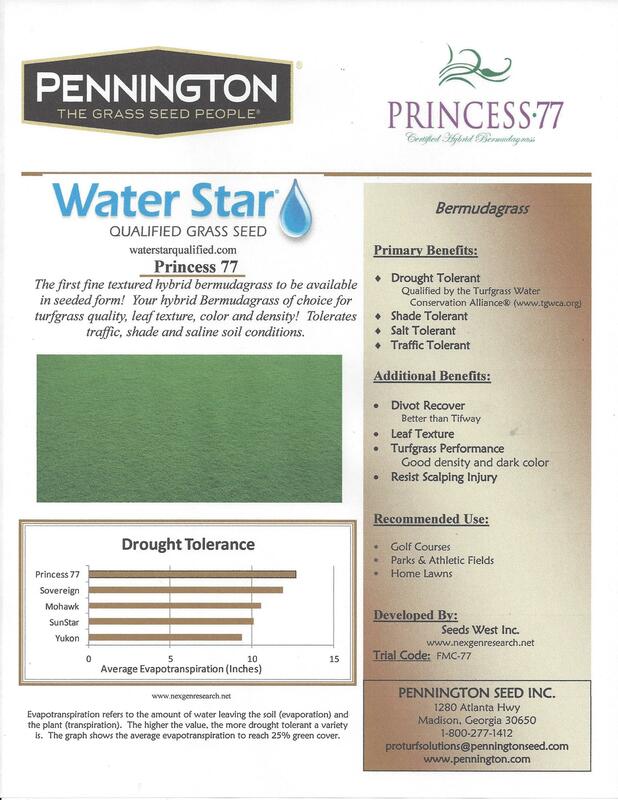 Princess 77 has a dense, fine-textured bermudagrass with a dark green color. 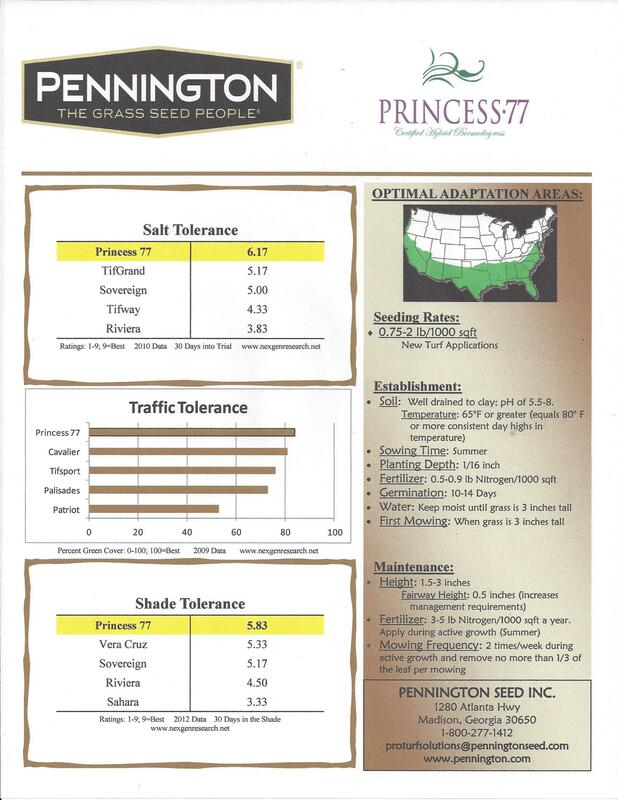 Princess 77 can be seeded compared to Tifway (Tifton 419) which cannot. 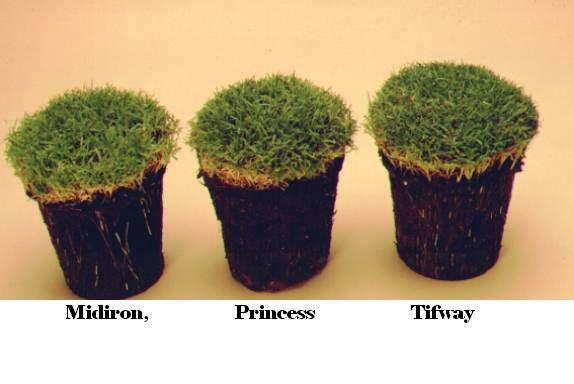 Princess 77 can be used to replace or repair Tifway turf due to the fact that they are very similar. 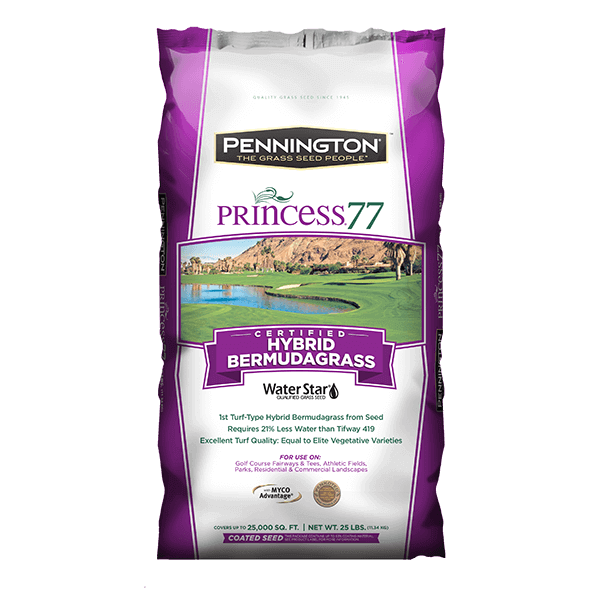 Princess 77 Bermuda grass can be planted on well drained to clay soils with a pH range of 5.5-8. For the seed to germinate, the soil temperature has to be at least 65F. The best time to plant Princess 77 is the spring and summer. You want to keep soil moist when you sow the seed and can normally expect germination in about 14 days. 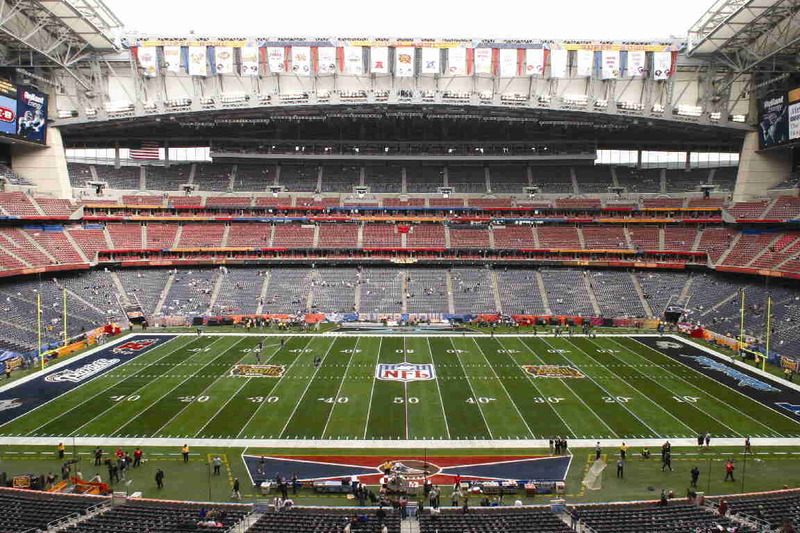 The turf can be mowed for the first time once the grass is 3 inches tall. (planting time window depends on the region that you are located. at a rate of 300 Lbs/acre. 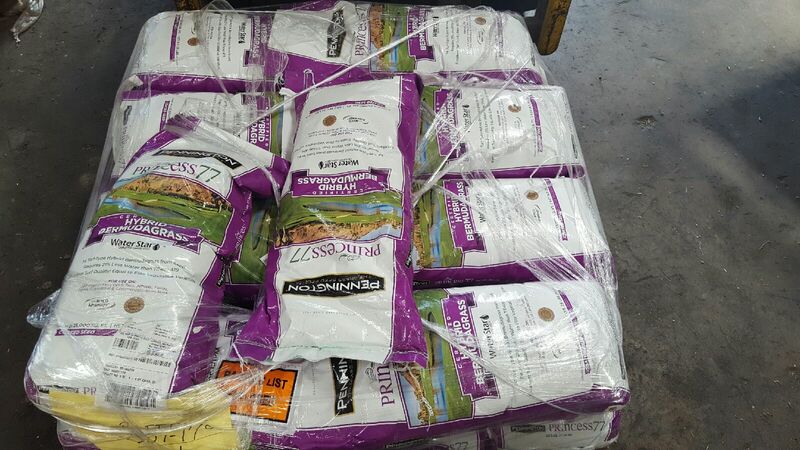 is a typical fertilizer used to restore the nitrogen depletion during mowing process.